As a leader in Answerport’s Technology Advisory practice, Bryan works with clients to develop and implement IT infrastructure solutions and IT process improvements. 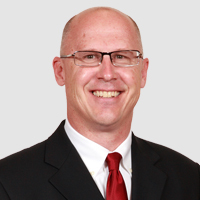 Bryan has deep experience assisting Answerport’s M&A clients with IT Due Diligence, Transition Planning and Transition Management related to IT Infrastructure and Operations. He has several years of experience in IT Senior Management roles as well as Consulting and has managed numerous large-scale project efforts. Prior to joining Answerport, Bryan was an IT Director at Froedtert & Community Health with responsibility for infrastructure and support services. The same position was held with Alterra Healthcare. Prior consulting experience includes Andersen Consulting and a technology consulting group in the Milwaukee area. Bryan holds a Bachelors of Business Administration from the University of Wisconsin – Milwaukee.